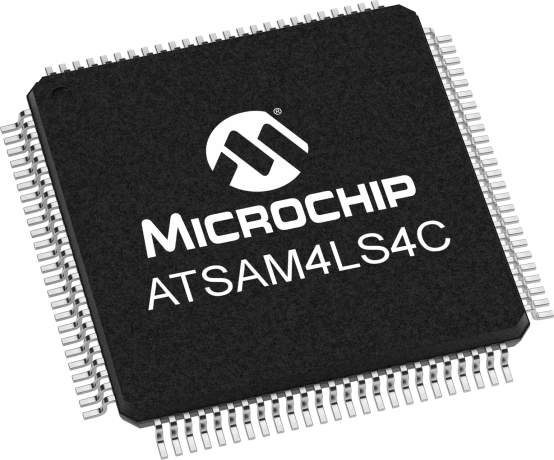 A member of the Microchip's SAM4L family of Flash microcontrollers based on the ARM® Cortex®-M4 processor, the ATSAM4LS4C delivers the lowest power in active mode (90uA/MHz) as well as sleep mode (1.5uA) and the shortest wake-up time (down to 1.5us) in a Cortex-M4 device. Along with 256KB of embedded Flash, the device features a USB device, peripheral event system and Sleepwalking intelligent peripherals. Integrated Microchip QTouch technology makes it easy to bring capacitive touch functionality to your hardware. The SAM4L8 Xplained Pro evaluation kit is ideal for evaluation and prototyping with the SAM4L8 Cortex®-M4 processor-based microcontroller. The SAM4L Xplained Pro board is available as an evaluation kit or starter kit. Extension boards can also be purchased individually. The ATSAM4L8-XPRO evaluation kit does not include extension boards. The SAM4L8 Xplained Pro starter kit is ideal for evaluation and prototyping with the SAM4L8 Cortex®-M4 processor-based microcontroller. The SAM4L8 Xplained Pro board is available as an evaluation kit or starter kit. Extension boards can also be individually purchased.